Being the observations, recollections and occasional ramblings of a long-time tabletop gamer. Today we have digital images of game product, both old and new, which can be affordably printed and bound to create physical books through print on demand services. While I do make use of digital images on various electronic devices, my preferred media remains the physical book. I like to hold a book, flip through the pages and even smell the paper and ink. I am "old school". I even prefer to get my daily news by reading a printed newspaper...and get my hands dirty with ink. It seems suiting given what I frequently read in the news. There are many titles available as print on demand that would otherwise not be available to the small number of consumers who would purchase them. The volume of sales does not warrant a large commercial print run and marketing. 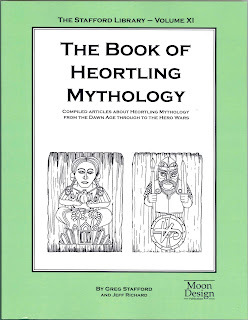 The Glorantha setting reference volumes written by world creator Greg Stafford are interesting to me as a devotee of the Glorantha setting and I appreciate their being available as print on demand softcover books. 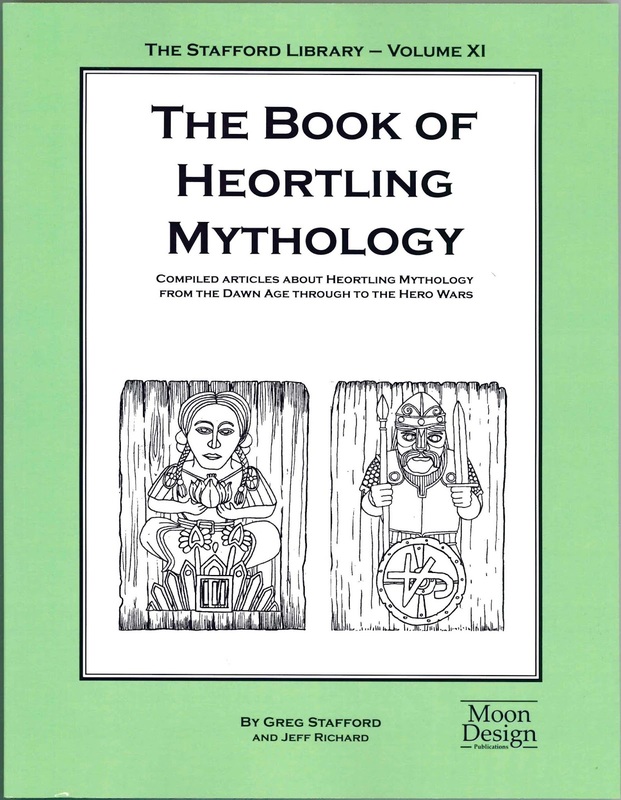 For the uninitiated, the Heortling people are the inhabitants of Dragon Pass who worship the storm pantheon including Ernalda the earth goddess and Orlanth the storm god. The Stafford Library series does for Glorantha something similar to what The Silmarillion does for Middle Earth. 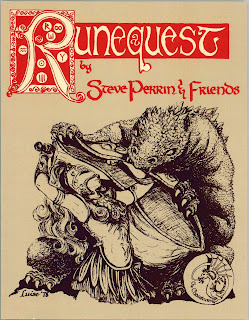 Out of print since 1978, the first edition of RuneQuest is also a print on demand product available through Chaosium and Lulu Publishing. This is the first role-playing game to use the Glorantha setting discovered and revealed by Greg Stafford. RuneQuest introduces a novel roll under d100 skill based system that by-passes character class and allows all player characters access to magic. The d100 system developed by Steve Perrin & Friends for The Chaosium serves as the basis of many later games published by Chaosium and has come to be known as the Basic Role-Playing system. Print on demand service has brought many of the older role-playing publications into availability again at prices much lower than those found in the secondary market. They are generally printed from digital scans of the original so the content is the same as the original, but there can be occasional scanning issues (which are often corrected once reported). The combination of availability and price makes print on demand a nice option for the niche consumer and there are many titles available through this service that are not available in any other physical format. I have become a fan of print on demand.